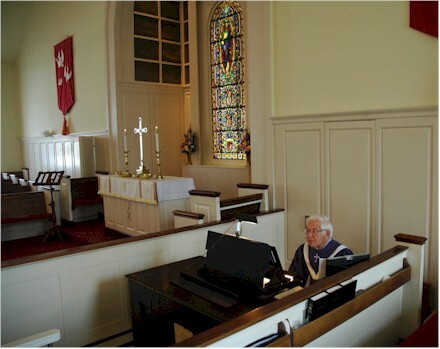 Last Sunday, I visited the church to see and hear Dad play the organ again. Some say he's considering retirement from this job too, although it's been said many times before, and it's reported that he has actually retired at least two or three times already. I even remember going to one of the retirement parties. Of course, he's still at it, after starting here approximately 55 years ago. It's always nice being there when he plays.